Do You Need a Separate Ticket for Star Wars Land? Disney Answer: No, but Kind of? If you didn’t know already, Disney is finally building a Star Was Land, officially known as Star Wars: Galaxy’s Edge. This brand new Star Wars Land will be located in both Disney California Adventure at Disneyland and in Disney’s Hollywood Studios at Walt Disney World. Opening dates have been announced, Star Wars Land will open on May 31, 2019 in Disneyland and on August 29, 2019. Regular admission to each park will get you access to Star Wars Land, kind of. Disneyland – While technically your theme park ticket will get you into Disneyland, from May 31 – June 23, 2019, it will NOT get you into Star Wars Land. During this time frame, in addition to a park ticket, you will also need a reservation. Guests staying in one of the three Disneyland Resort Hotels during this time will get a free designated reservation to access Star Wars Land (one reservation per registered guest). You will still need a theme park ticket, but the reservation will get you into Star Wars Land once inside Disneyland. Reservations for non-Disneyland Resort Hotel guests will be made available, though this process and how they will be made available has not yet been announced. Reservations will be free, but will be extremely limited. Beginning June 24, 2019, a separate reservations will no longer be required. Star Wars: Galaxy’s Edge will be capacity controlled, so after June 24, you may need to stand in a very long line just to get into Star Wars Land to stand in another very long line to ride any of the rides. Star Wars Land will not be available during Extra Magic Hours or Magic Morning at Disneyland Park, and is not available with FastPass or MaxPass services. Walt Disney World – Disney World has decided to forgo the reservation system (they have A LOT more hotels) and just give everyone equal access. And by equal access I mean anyone that wants to wait in a 5+ hour line can have access. Capacity for both Hollywood Studios and Star Wars Land will be capacity controlled, so even if you have a ticket, you may not be able to get into Hollywood Studios, and if you get inside, you may not be able to get into Star Wars Land. As with Disneyland, there will be no FastPass+ service for any attraction in Star Wars Land. 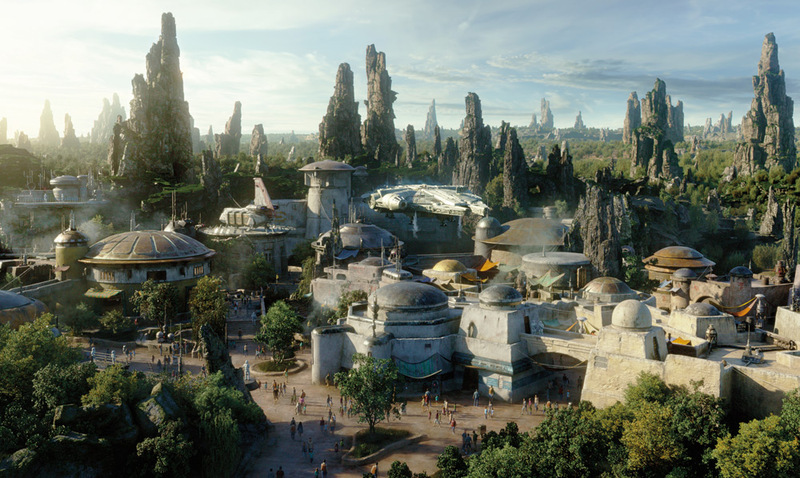 Please note at both Disneyland and Walt Disney World, Star Wars: Galaxy’s Edge is opening with only one of the two main attractions available. Millennium Falcon: Smugglers Run will be available at the grand opening while Star Wars: Rise of the Resistance will not open until later in the year (or possibly 2020 at Walt Disney World). Are Disney Springs and Downtown Disney the same thing?